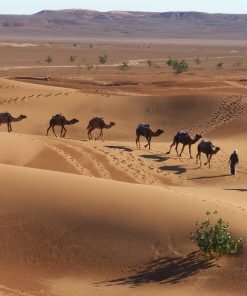 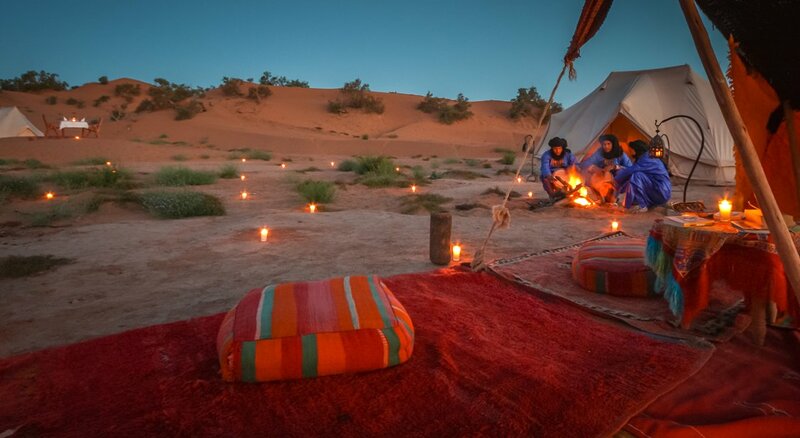 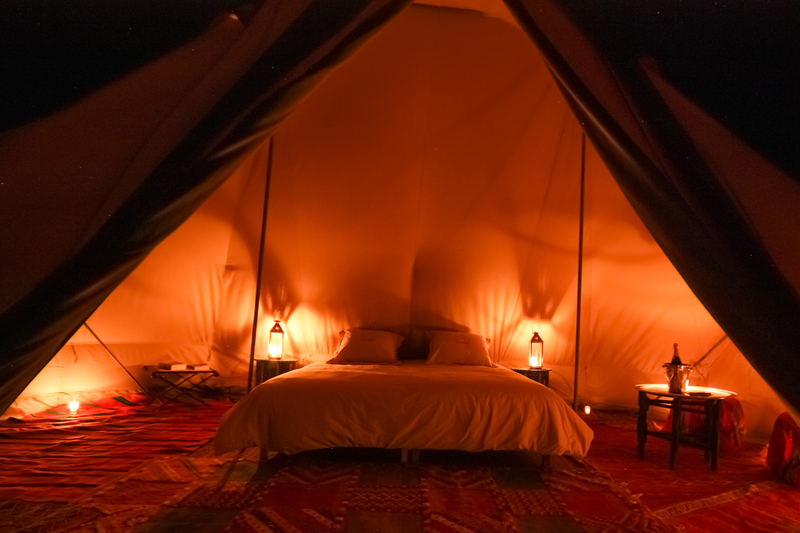 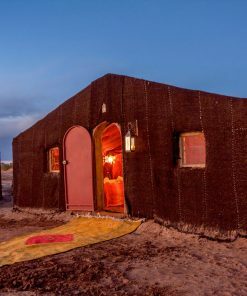 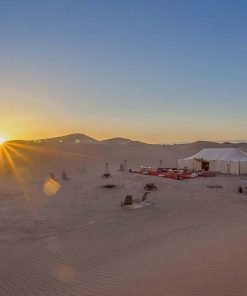 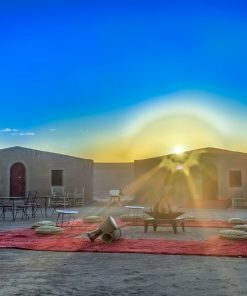 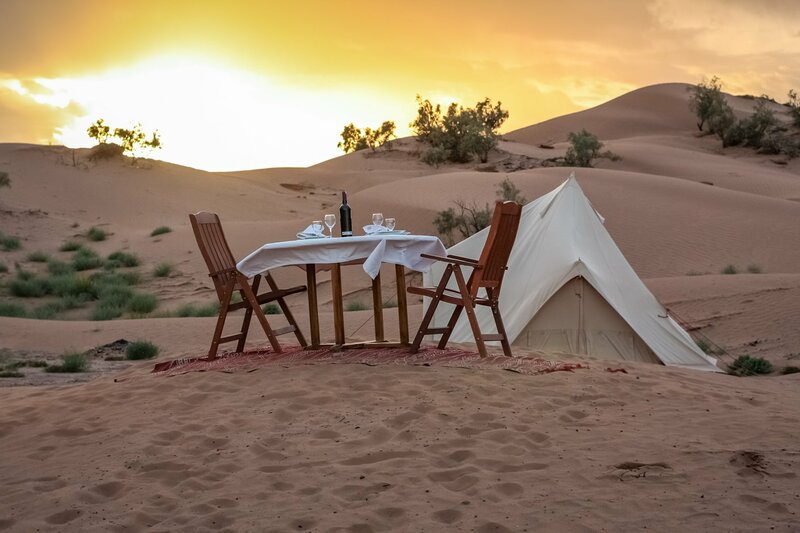 In this exclusive experience, you are the only guests on our patch of the desert. 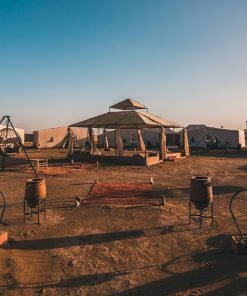 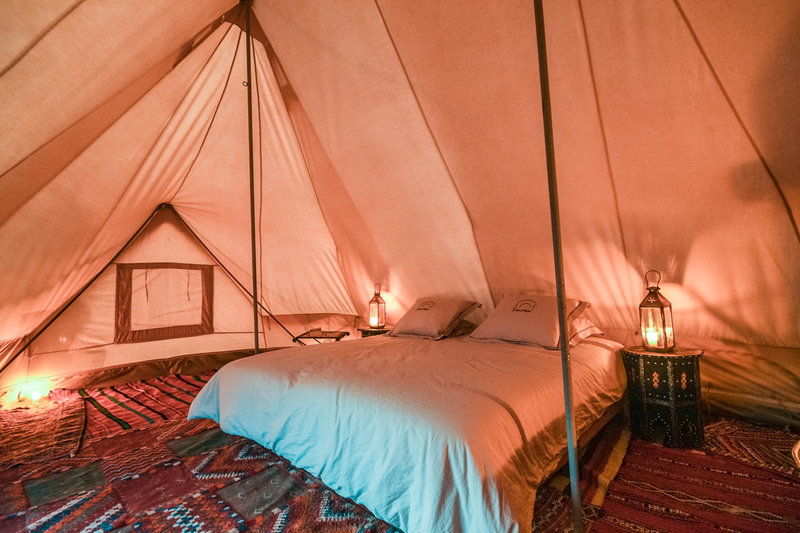 The camp accommodates a group of up to 6 people so you will feel like an adventurer in this new and exciting environment! 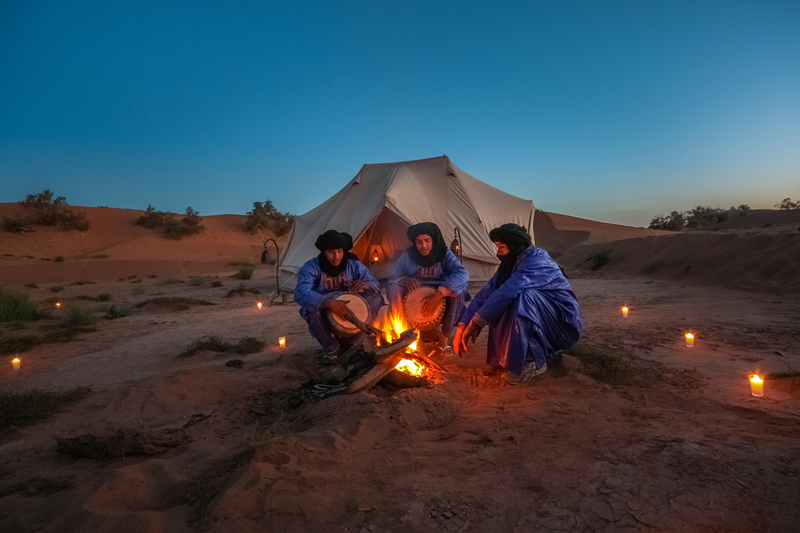 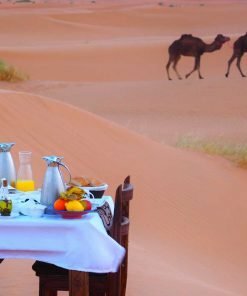 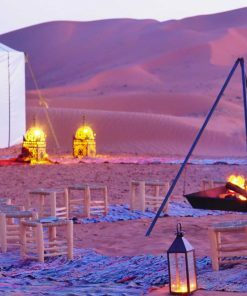 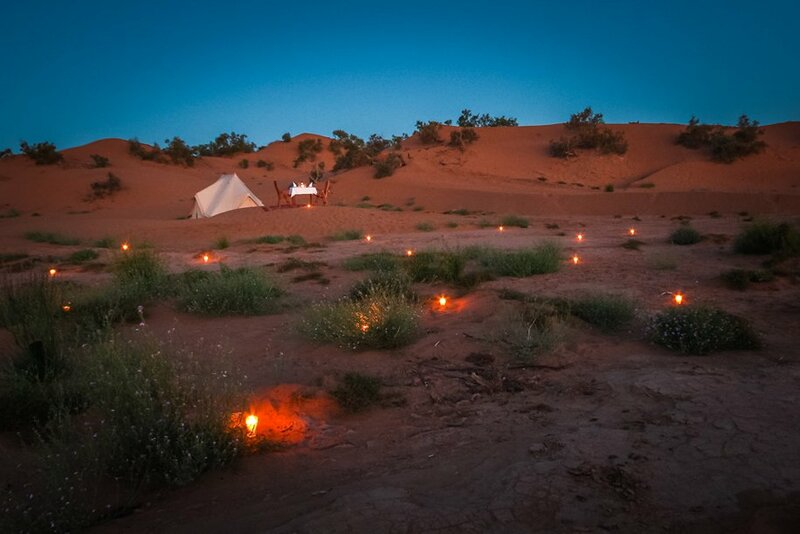 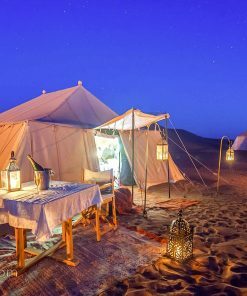 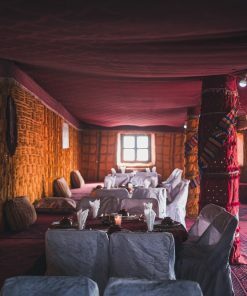 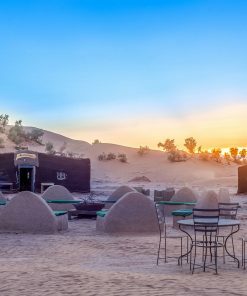 Enjoy gourmet food and a nice atmosphere in peace and quiet, sharing our personnel’s passion for the desert.